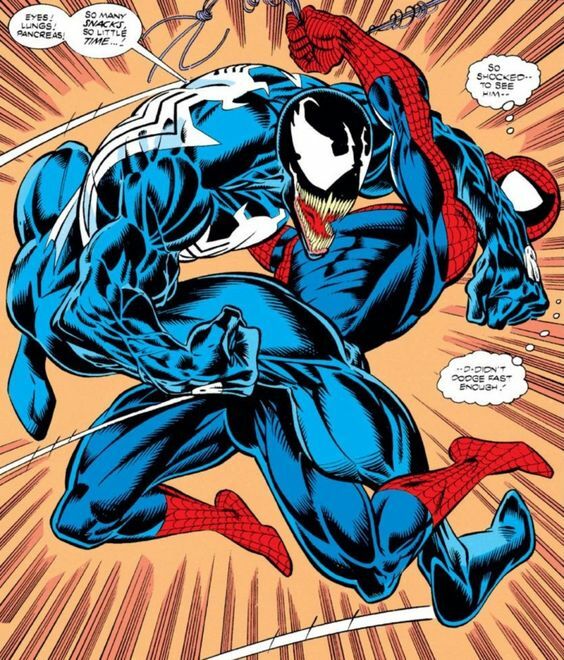 Venom began battling Spider-Man in the 80s after Spider-Man cast off the suit. 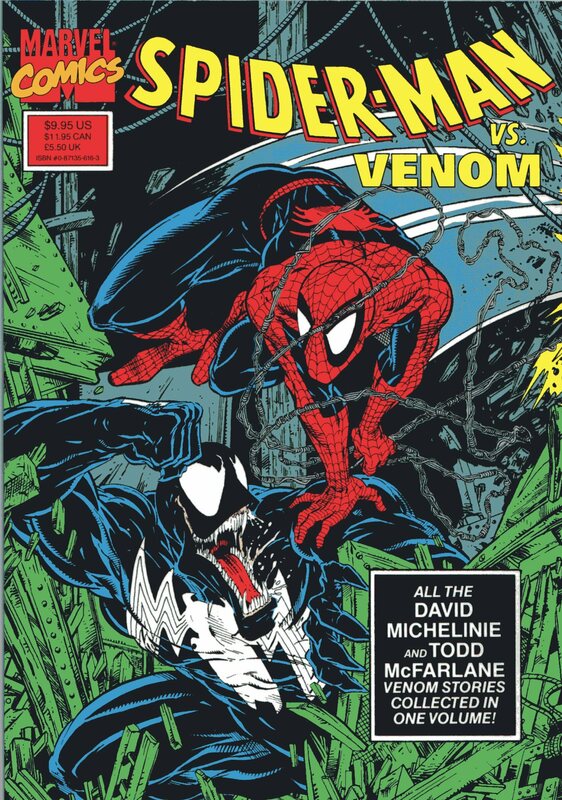 However, Venom really became the main of Spider-Man in the 90s. 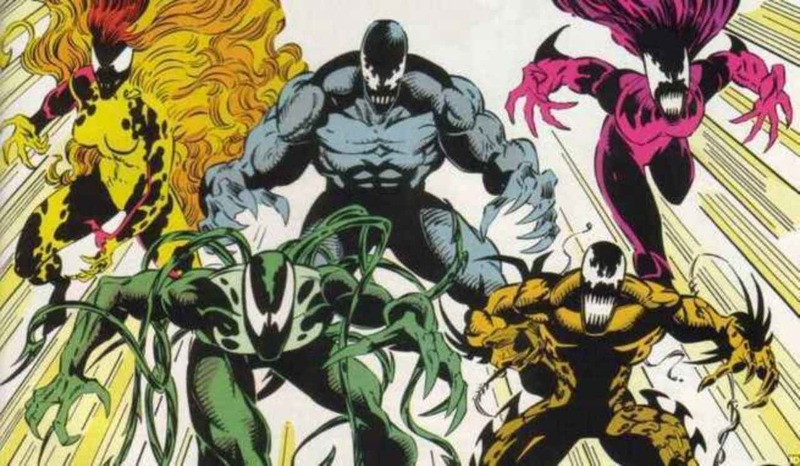 Later in the 90's Venom's suit even gave birth to a new symbiote suit that would be worn by the even worse Carnage. 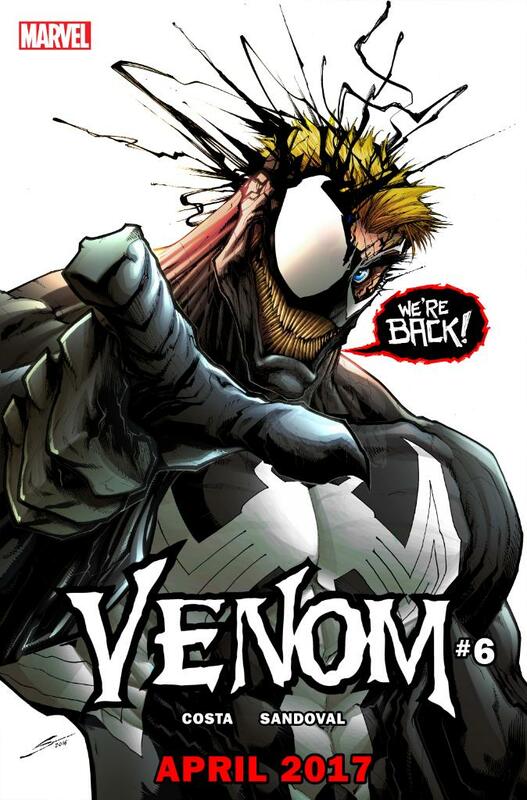 After Carnage is introduced Venom as a character seems to lose steam and becomes almost more of a good guy. Sometimes I dislike the villains that are basically the main character with bad values. However, I have always like Venom. 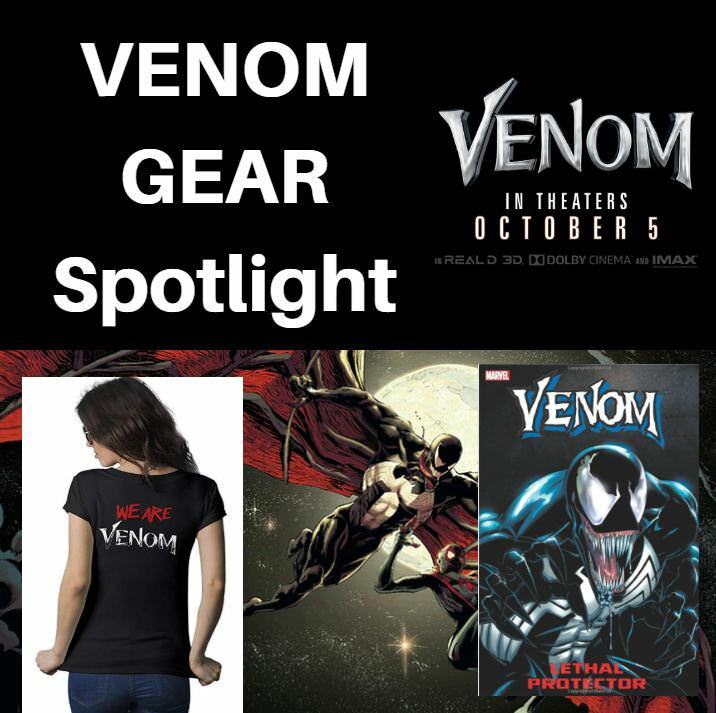 Venom to me is a little deeper and more complex. First, he is not entirely evil he just has a Punisher like attitude and also a deep hatred of Spider-Man. While his powers are similar to Spider-Man's they are also more powerful. 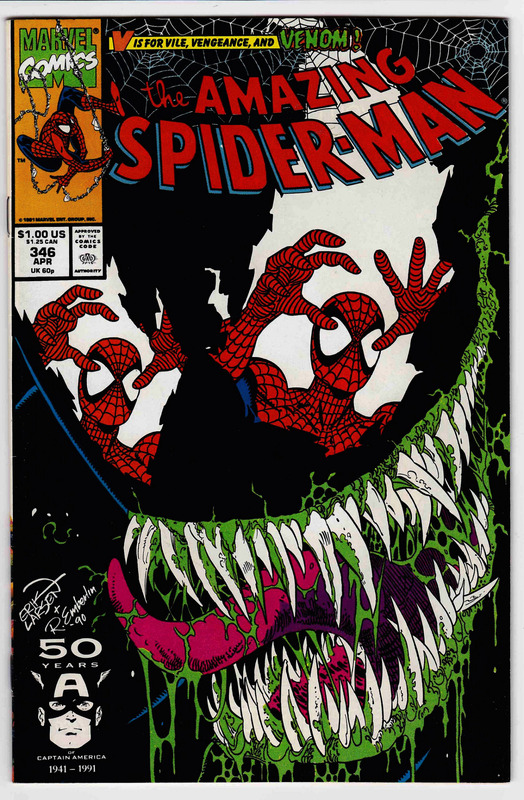 This is also shown in how he is generally depicted as being a huge hulking and more monstrous appearing Spider-Man. 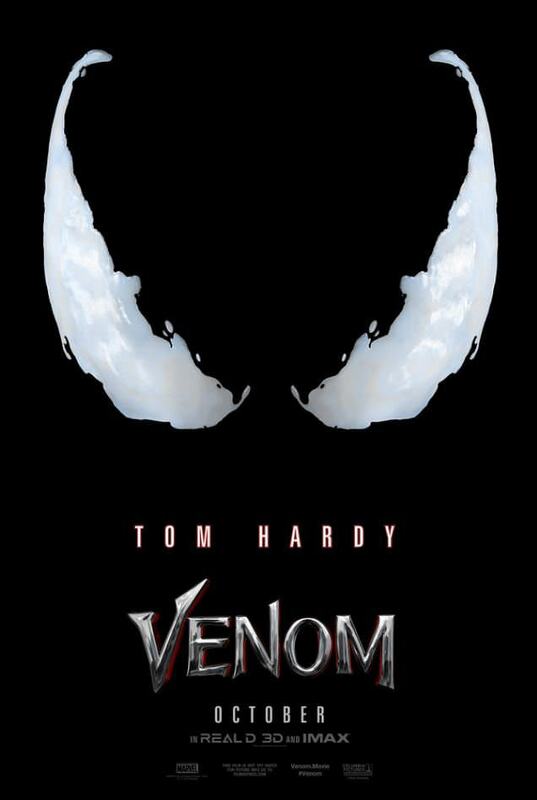 One of the visual aspects that Spider-Man 3 got wrong was that Venom is not meant to be strictly a doppelganger of Spider-Man. He is meant to be far larger and should have a hulking presence. 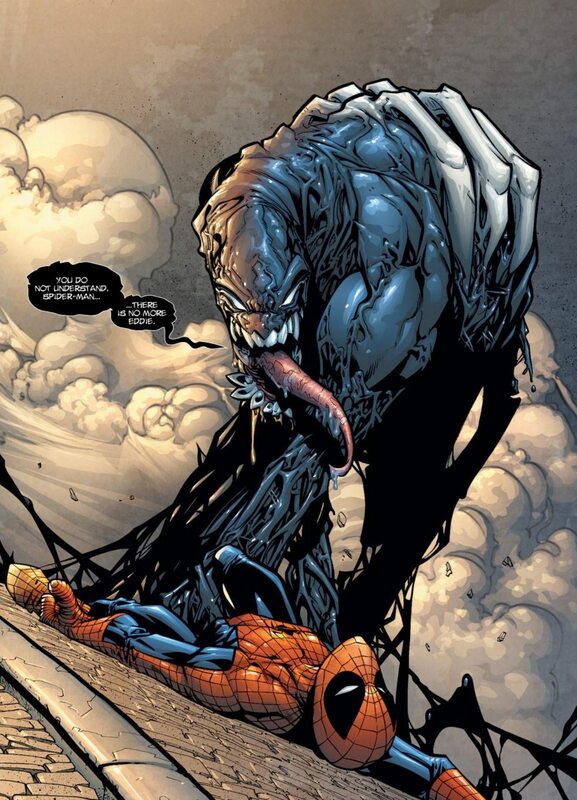 He is also more brutal and can use both his symbiote tendrils and jaws to attack. His large physical size with added advantage of not being detected by Spider-Man's Spider Sense make him a truely terrifying villain for Spider-Man to face off against. 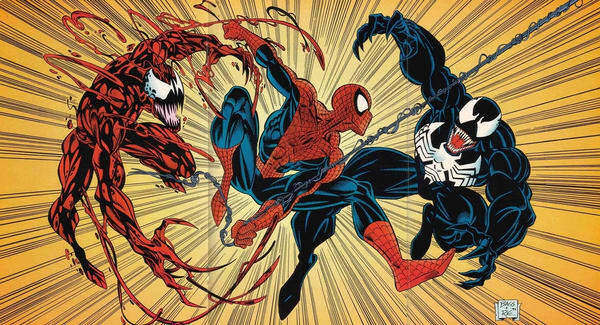 In some modern forms the symbiote has been depicted as even more monstrous than the original. 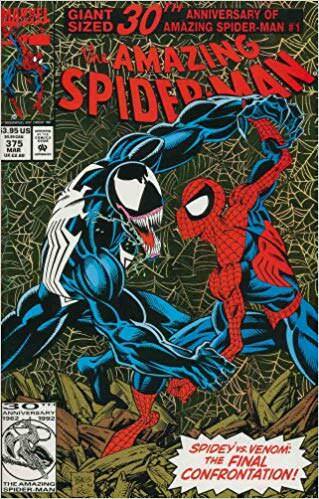 The ultimate battle between Venom and Spider-Man in my mind occures in the events of Amazing Spider-Man 346 and 347. 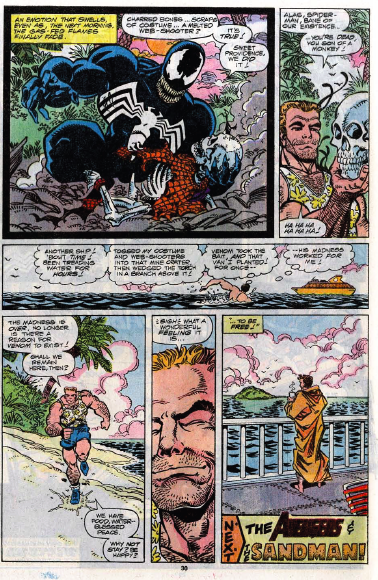 Venom has trapped Spider-Man on a desert island and is all but certain to kill the hero. Spider-Man only escapes by faking his own death. 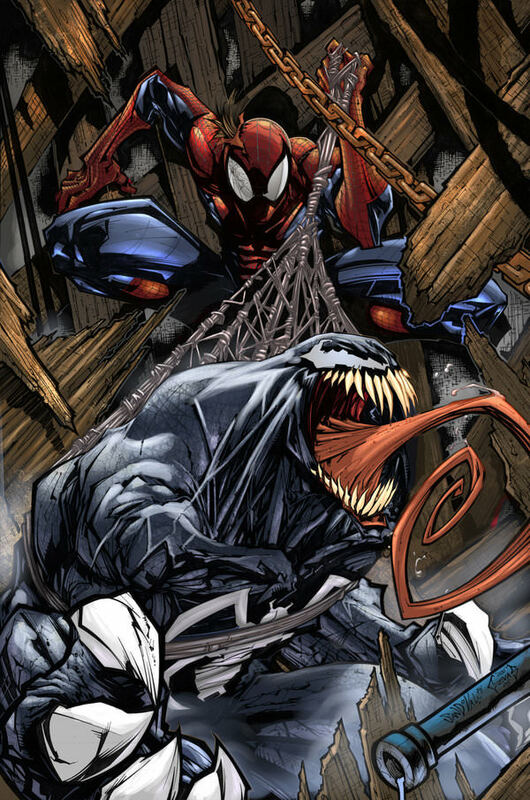 This story was pretty unique in that Venom was as much a mastermind type of villain in this story as he was a violent brute.